Last year Valentines was celebrated with heart shaped pancakes and less traditional but by no means unappreciated mouse slaying. How to follow that up this year, now that we live rodent free? 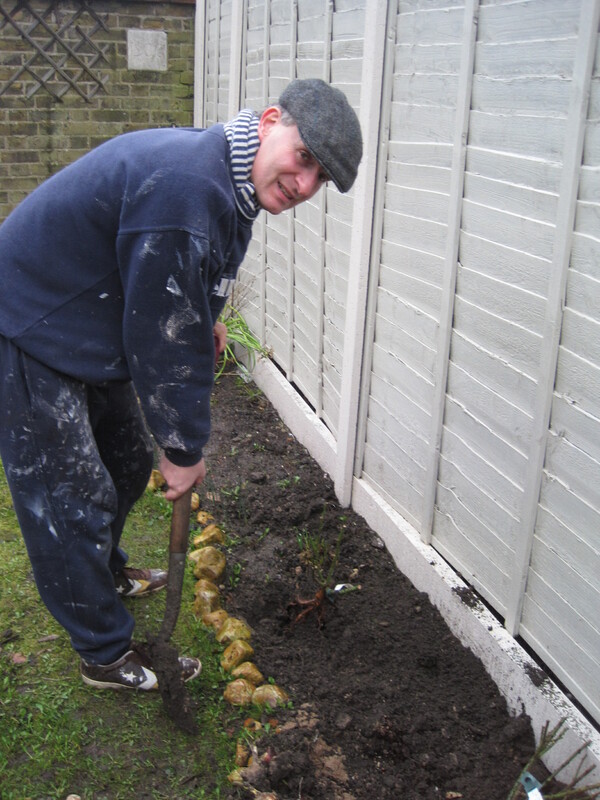 Mr Rush Hour spent an hour of a very wet afternoon digging me three eighteen inch holes in which to plant three Darcey Bussell rose bushes in our largely bare new garden. Bunches of roses and fancy restaurant bookings are for amateurs, bare root rose bushes and a bag of manure equal true love for me.